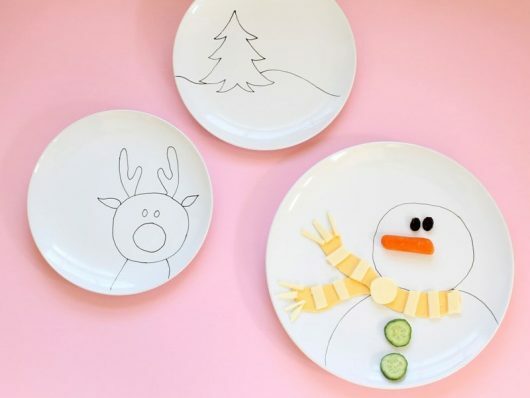 DIY Christmas plates from plain white dishes and a China Paint Pen. 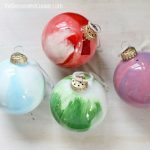 DIY Christmas plates from inexpensive plain white dishes and a China Paint Pen. 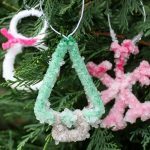 Can I just tell you how easy these are to make and how I love them ever so much and how I want to make some for every holiday? All you need is a porcelain pen. And an oven. And dishes. I got mine from Ikea because I love Ikea with all of my heart. 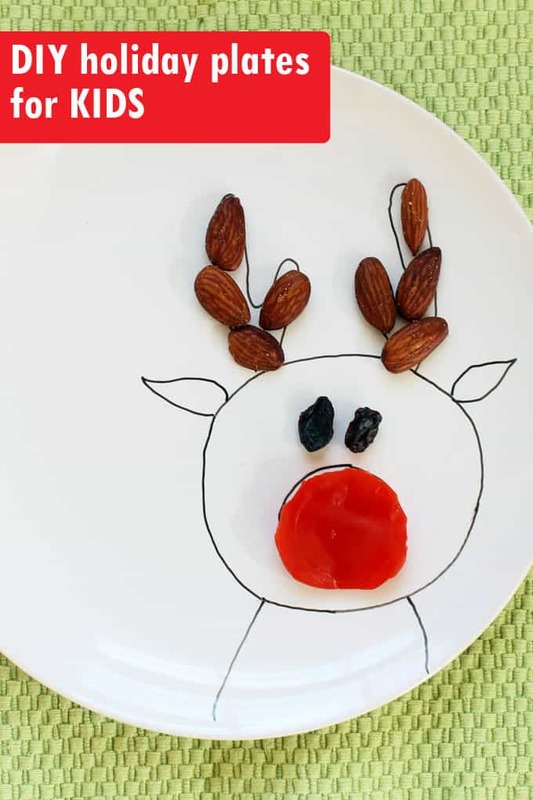 These DIY Christmas plates are an easy Christmas craft kids will love. For the how-tos, click HERE to visit KIX Cereal. 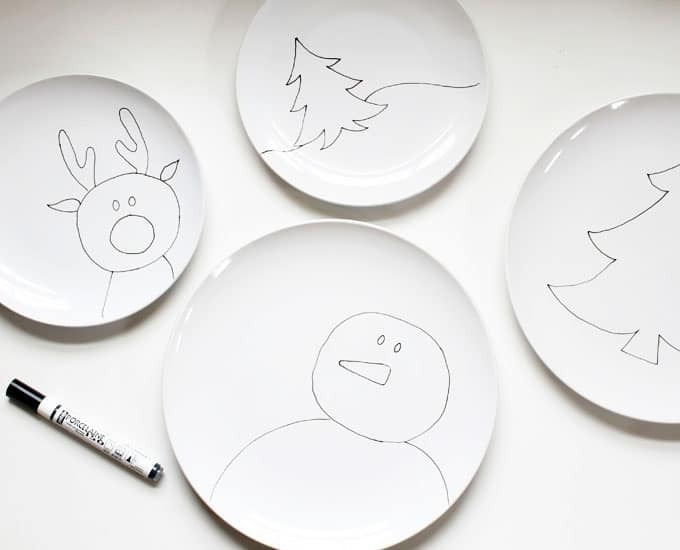 After you draw your design on the plate, let the plate dry for 24 hours, and bake in a 300º F oven for 30 minutes. Remove from the oven and let cool completely before using. 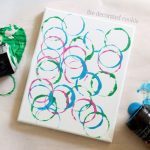 If you make a mistake, you can wipe it off immediately with the corner of a damp paper towel. Let the plate dry before continuing. Keep the designs simple so there is more room to fill in with food, but the design should still stand on its own without food. 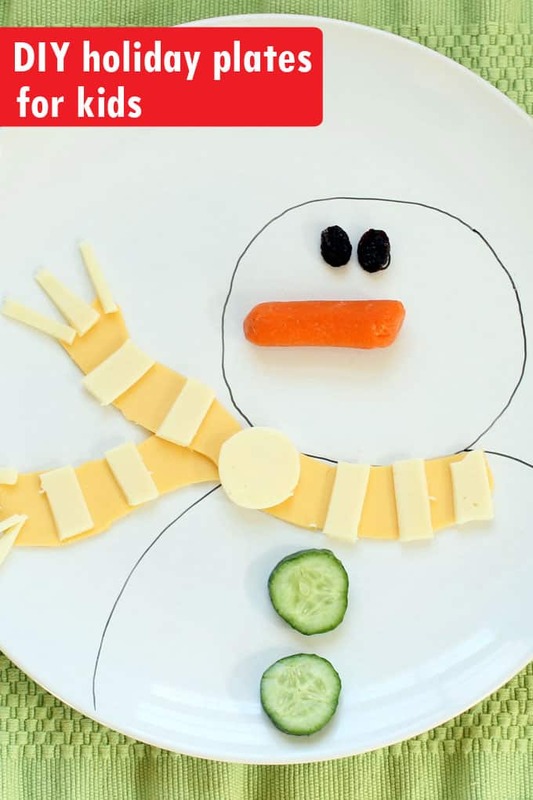 So for example, I drew the eyes and nose for the snowman even though raisins and a carrot can do the same job. I wonder if food colour pens might be a fun alternative. 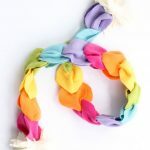 I think that’s a fabulous idea! Would be temporary, too, so you can use the plates for every holiday.